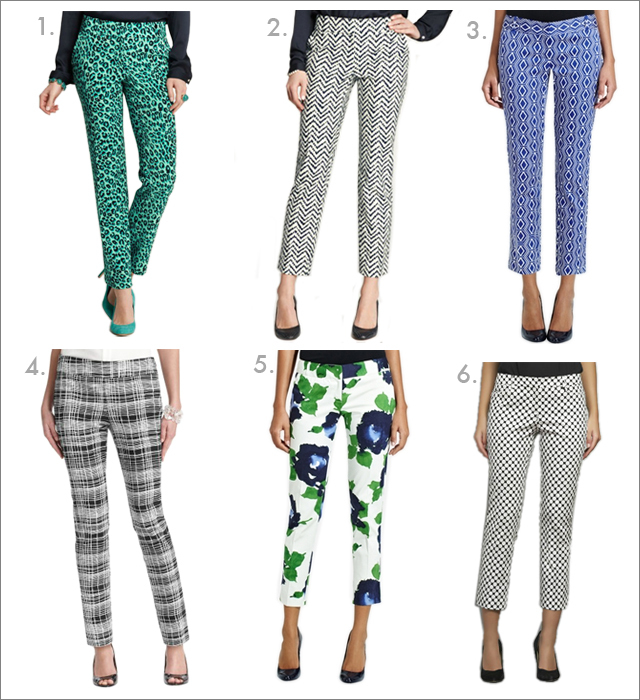 Printed ankle pants seem to be a hot trend that doesn't seem like it is going to fade anytime soon. I have been on the fence about this style since ankle pants usually do not flatter my shape; however, I do like the way the print on these pants adds movement to an outfit and the how the ankle length showcases the shoes. What are your thoughts? If you are on the fence, too, and looking for some inspiration for how to wear ankle length pants, I recommend you check this out. Also, the Today show featured the Loft ankle pants and the mixing of prints. One last thing, if you are interested in possibly winning some cash (and looking for some great, stylish, hilarious reading, too) you might want to check this out. I better get over to ann taylor and the limited! Cute! Thanks! The chevron pair is my favorite. Thanks! Yes, don't miss out on the sales! I know shopping is so addicting! :) Thanks for stopping by, Alice.